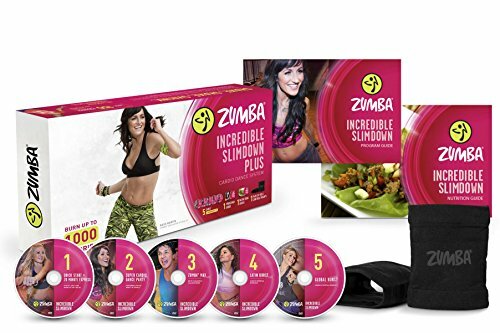 It's your turn to join the calorie-burning dance-fitness craze that's taken the whole world by storm with Zumba 101 featuring two awesome DVDs. Learn from the creator of the Zumba fitness program himself, Beto Perez, as he takes you through the essential moves to get you dancing yourself into shape. 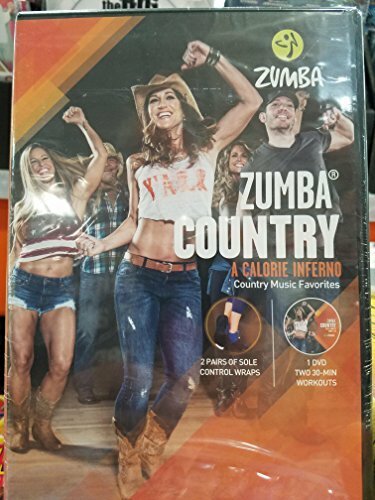 Burn up the dance floor with Zumba Country feat. 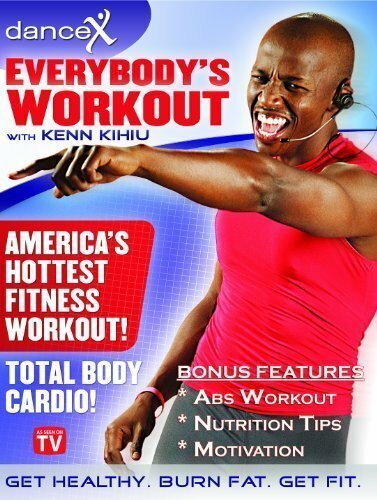 two 30-min workoutsA sizzling cardio workout featuring easy-to-follow dance steps set to favorite country chart toppersFeaturing music by: Brooks & Dunn "Little Miss Honky Tonk", Dixie Chicks "Sin Wagon", The Charlie Daniels Band "The Devil Went Down to Georgia", Mark Chestnutt "Bubba Shot the Jukebox", Big & Rich "Save a Horse (Ride a Cowboy)"
Zumba Blitz features three intense 20-Minute workouts that challenge your entire body!The perfect DVD for cardio lovers on-the-go! Fit “getting fit” into your schedule.Zumba Charge (20 min): Straight from our Super Cardio Dance Party DVD, this 20-Minute workout adds short Cardio Burst Intervals to traditional Zumba steps, giving you a better total-body workout in less time!Zumba Power Up (20 min): See what the interval-training buzz is about with Zumba Power Up! 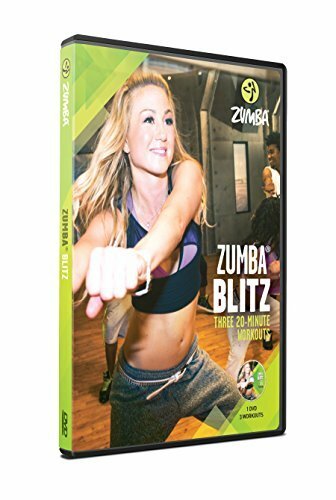 Using easy-to-follow Cardio Burst Intervals, this additional 20-Minute workout from Super Cardio Dance Party promises fast results!Zumba Bursts (20 min): Maximize the calorie-torching power of Zumba by adding short 30-second Cardio Burst Intervals to your workout while you dance along to the hottest international rhythms! 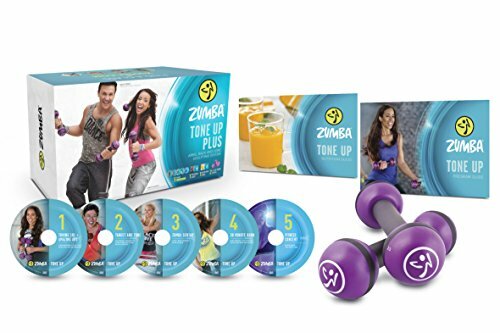 ZUMBA INCREDIBLE RESULTS SYSTEM INCLUDES: Quick Start + 20-Minute Express Super Cardio Dance Party Featuring Cardio Burst Intervals Zumba Step DVD Featuring the Zumba Rizer All-New Zumba Rizer 30-Minute Burn + Amazing Abs Fresh & Simple Nutrition Book Featuring The 7-Day Rapid Results Eating Plan & Everyday Weight-Loss Plan THE DELUXE KIT ALSO INCLUDES Zumba Max DVD: Super high-energy live class featuring fast-paced music and crazy-fun dance moves (60 minutes). 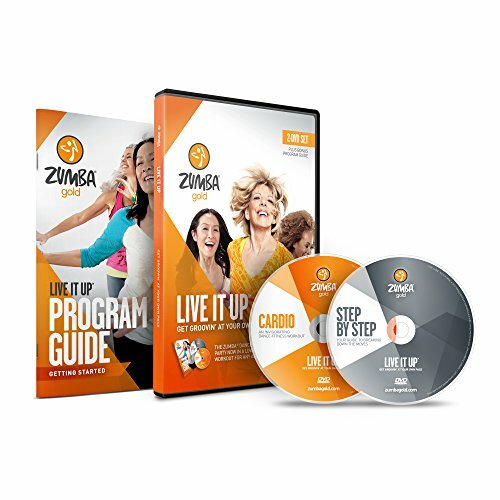 Zumba Step It Up DVD: This high-intensity total body workout will give your dance-fitness an extra boost, helping you get the most out of your Zumba Rizer (35 minutes). 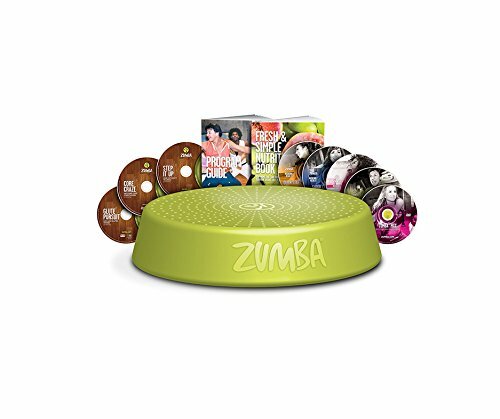 Zumba Glute Pursuit DVD: This results oriented session focuses on glutes and legs, giving you an electrifying and highly concentrated workout with the Zumba Rizer (30 minutes). 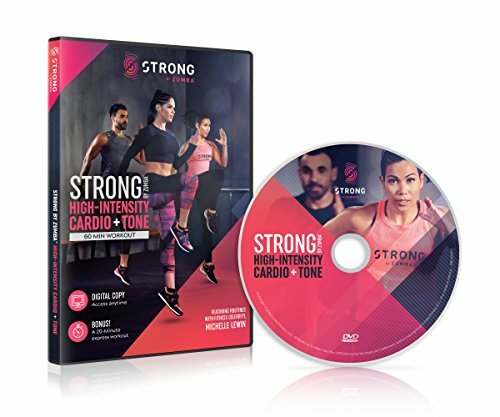 Zumba Core Craze DVD: This highly targeted workout provides powerful core conditioning, yielding fierce results using your Zumba Rizer (30 minutes). Get ready to embark on the ultimate transformation journey. Shake, Shake, Shrink! is an easy-to-follow fitness and nutrition program that helps you lose weight quickly and easily - without sacrificing fun! The program is divided into three manageable phases designed to introduce you to the basics, kick up the intensity and see results. Let's get shakin'! 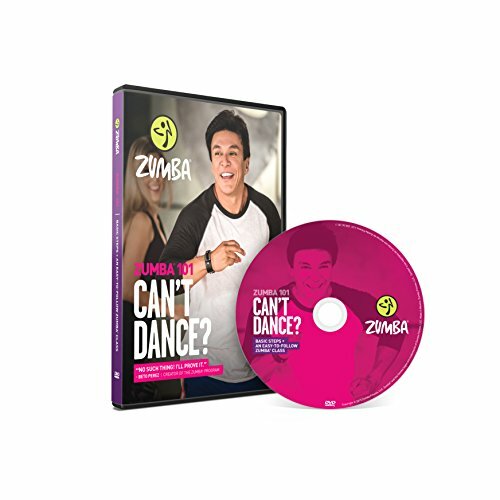 Compare prices on Exercise Zumba Dvd at ShoppinGent.com – use promo codes and coupons for best offers and deals. Start smart buying with ShoppinGent.com right now and choose your golden price on every purchase.